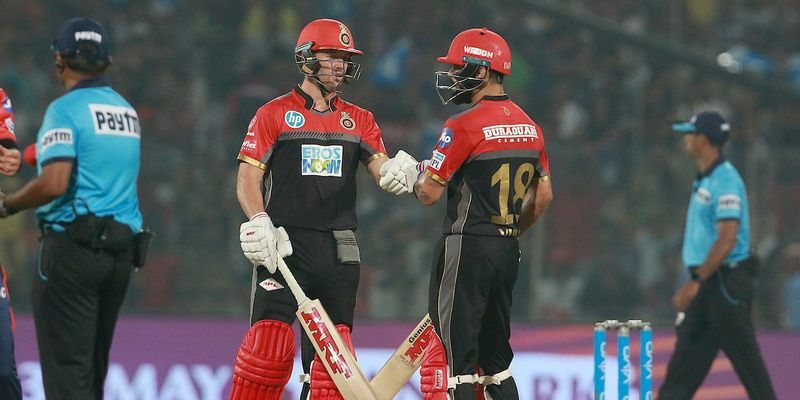 Virat Kohli and AB de Villiers batted with purpose to ensure that the target was safely chased down and Royal Challengers Bangalore secured their first win of the IPL. However, with the exception of Yuzvendra Chahal and Navdeep Saini, the bowlers continued to have a negative impact against KXIP. Parthiv Patel (5/10): Parthiv Patel is like that stand-up comic who sweeps the audience with his brilliant timing at the beginning, but the jokes falls apart after a few rounds of applause. The authority with which the Gujarat skipper got going was there to see, but as soon as he found his feet, a simple catch to Mayank Agarwal at long-off brought an end to his innings. Virat Kohli (9/10): Virat Kohli can talk about team building and leadership as much as he wants, but it is no secret that batting is the only thing that liberates him. Chasing brings the best out of him and Mohali’s IS Bindra stood witness to a Kohli masterclass. If genius is one percent inspiration and 99 percent perspiration, then no one would take that 67 from Kohli, for the fact he achieved through the zeal to succeed when the chips were down. AB de Villiers(9/10): For RCB, it is always imperative that AB bats well and conversely, for AB, he had a legend to live up to. The love-story came together as the South African started adding runs by a tickle, and even after Virat Kohli was dismissed. The man, who had forged a love affair with fans in all corners of the country, stayed patient with the chants and ensured the team would go over the line without any fuss. Marcus Stoinis(7/10): When the other teams seemed to have choked from the winning position, more often than not, Stoinis had a big role to play and stay patient out there. With AB doing most of the leg work, the Aussie took calculative risks and ended up scoring 28 off 16 deliveries. The right way to play the support act. Moeen Ali(8/10): The Englishman showed that why the RCB skipper should trust him with more overs. After the pacers went for runs, Moeen Ali put the brakes on the carnage and helped the team make a comeback in the middle-overs. His four overs cost only 19 runs with the Sam Curran wicket as a bonus. He might not have batted, but he has made the perfect contribution. Akshdeep Nath(6/10): The Uttar Pradesh batsman neither batted nor bowled, and his only moment in front of the camera when he misfielded a ball to the boundary. If the chance comes in the next matches, he will surely want to have an impact in the game. Pawan Negi(6/10): It was surprising that Virat Kohli didn’t ask him to bowl an over, even though Yuzvendra Chahal and Moeen Ali were the best bowlers for the team. Negi must have embraced that with both hands, or rather would’ve hoped to get a chance to score the winning runs. Didn’t happen today but there is always a next time. Umesh Yadav(3/10): There is a meme going around on Instagram lately, called “Run machines of India” with Ashoke Dinda welcoming Mohammed Siraj to the club, with Umesh Yadav, already an honorary member, looking at him gleefully. For a fact, the game in Mohali tonight lived upto that predicted narrative and Umesh was taken down with surgical precision. RCB would want him to bring out the memories of 2018 and do something to help the team. Yuzvendra Chahal(8/10): Like Frodo Baggins fought against the might of Mordor with Sam for company, Yuzvendra Chahal was the lone ranger for RCB against the might of Christopher Henry Gayle. By dismissing KL Rahul and Mayank Agarwal in the beginning, he gave the depleted RCB a chance to have a crack at the redemption. Star. Navdeep Saini(7/10): Keep Deepak Chahar’s new-ball swing out of the way, and Navdeep Saini will come up as the most impressive Indian pacer this time around. Won’t be a surprise if Virat Kohli pushes for his name in the April 15 meeting and take him to England with him. Navdeep has got it everything and he showed that each time he streamed in to bowl. Mohammed Siraj(3/10): Give me 10 stumps to target at, and I will down one. That seems to be Mohammed Siraj’s thought process in this IPL. Such was the lack of application from the Hyderabad pacer that it will be a real surprise if RCB don’t part ways with him at the end of the year.